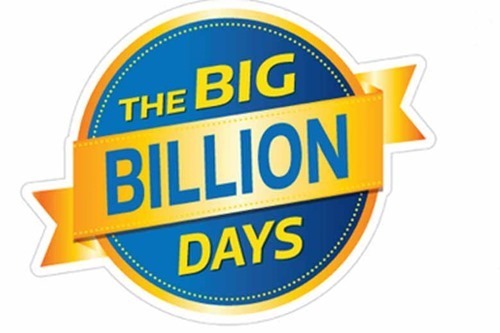 Here we are trying to collect good deals available on Flipkart Big Billion Days started 10th October 2018. It includes Mobile Phones and accessories, Laptops, Fashion, Photography etc..
Offer available for HERCULES Impulso RF 26 T Mountain Cycle, Hero Skyper 26T 26 T Mountain/Hardtail Cycle, HERCULES Trailblazer RF 26 T Mountain Cycle, HERCULES Frozo RF 26 T Mountain Cycle, HERCULES Frozo RF 26 T Mountain Cycle. 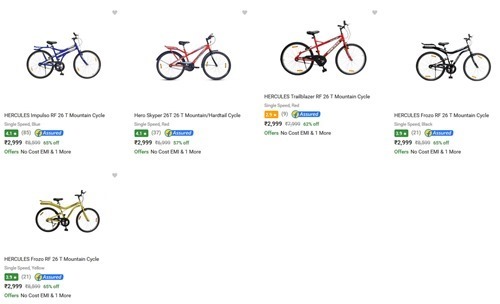 These bikes will be available for just INR 2,999. 3GB RAM and 32 GB internal storage space version will be available for a price of INR 9,999 (INR 1000 OFF), also If you are using HDFC credit or Debit card you will get INR 1000 additional discount, so the effective price will be INR 8,999. Asus Zenfone Max Pro M1 64 GB, 4 GB RAM – Actual Price INR 12,999, Deal Price INR 10,999 (With bank offers you can get it for INR 9,899. Samsung Galaxy S8, A7, J6, J8, On6, On8 and Samsung Galaxy Note 9 have offers on Flipkart . 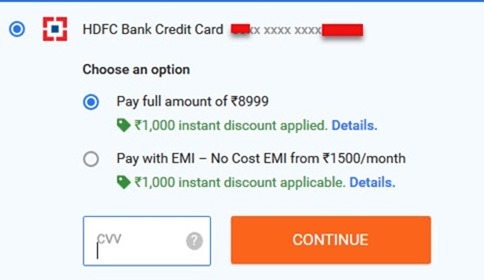 HDFC card payment will give you INR 6,000 cash back if you buy Samsung Galaxy Note 9. Samsung Galaxy S8 will be available for just INR 29,990 and you can get additional 10% discount for selected payment methods. 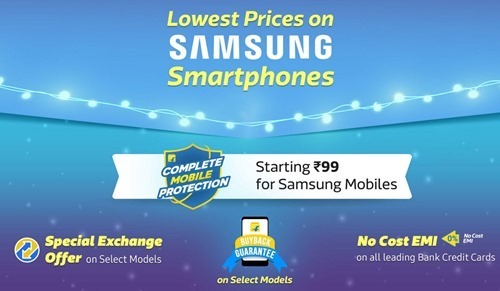 Check Samsung Offers. 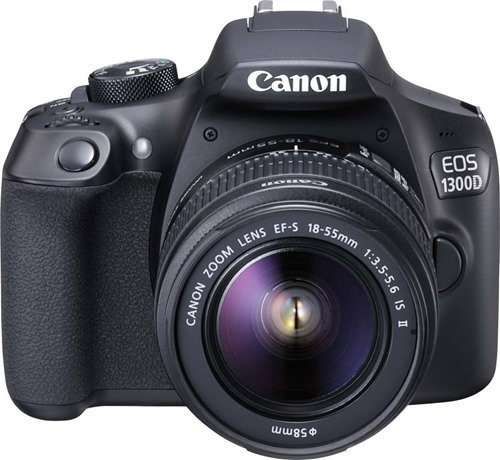 Also you can check the crazy deals, Maha Price Drop sections for super saver offers. If you find some attractive offers let us know, we will add them here.